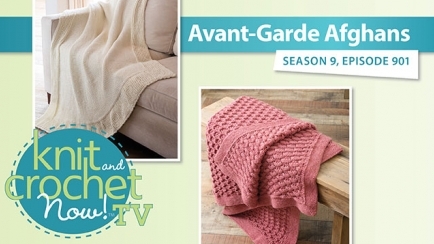 Knit along with Melissa Leapman on the first project of the season -- a Reversible Afghan featuring a different design on each side. 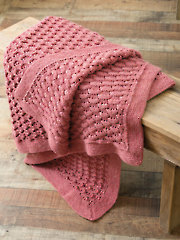 Lee Sartori demonstrates the Avec Lorraine Throw, an elegant throw worked in Tunisian crochet. 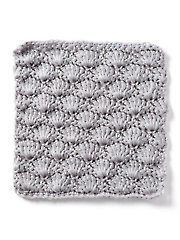 Vanessa Wilson creates the square of the week featuring a crochet shell stitch. I have't knitted for quite a while and am anxious to get started again.